Invacare® contemporary walkers feature wide, deep frames with a large number of height adjustments and a composite lower side brace for added stability. They are light and easy to lift and maneuver. 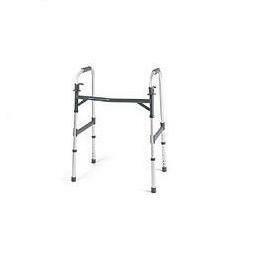 Walkers include PVC hand-grips that provide comfort and long-lasting wear, anti-rattle silencers for quiet operation.